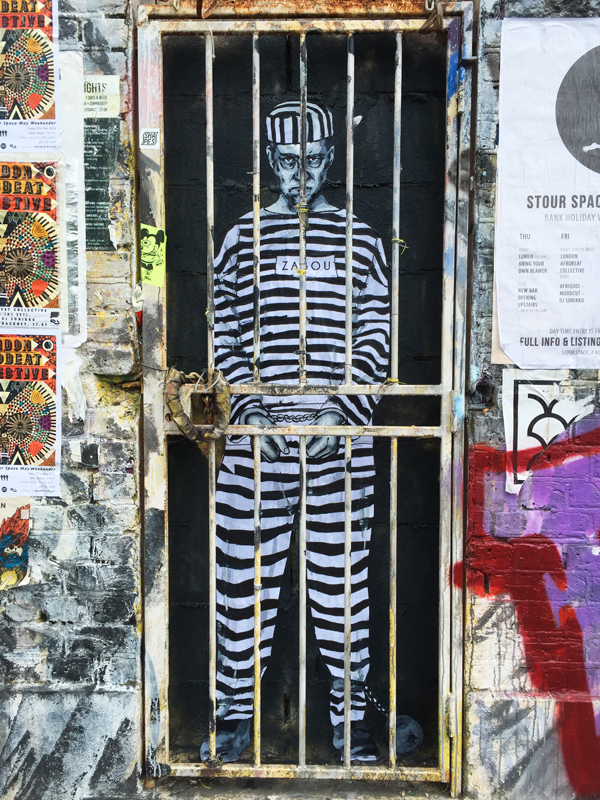 I spotted this door in Hackney Wick, East London, a while back and it inspired me to create this jail-themed artwork. 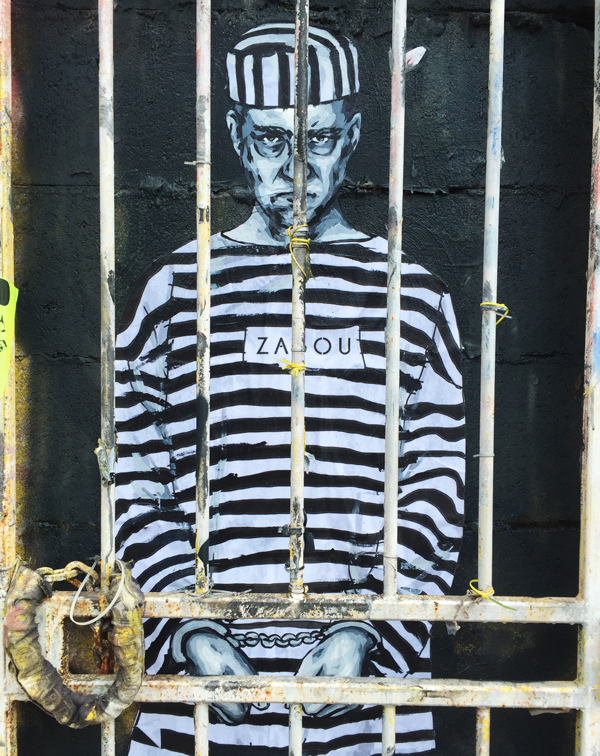 The piece depicts a convict locked up behind bars. It’s a paste-up, my first one! Back again in Cyprus! 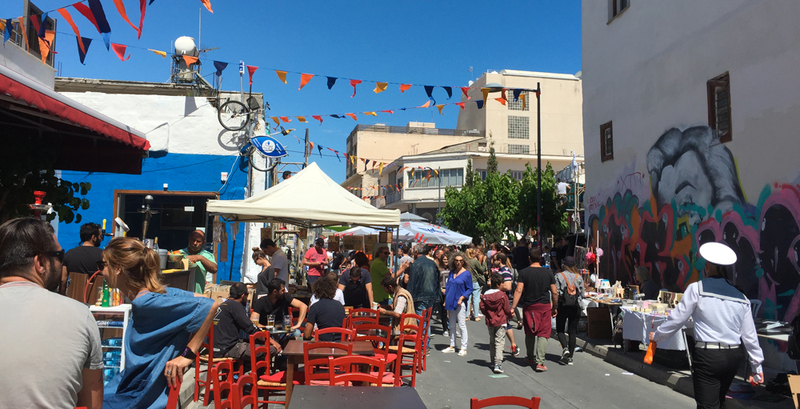 This time for the 9th edition of Street Life Festival: a mix of live painting, street food, music and market stalls taking place each year in the city centre of Limassol. 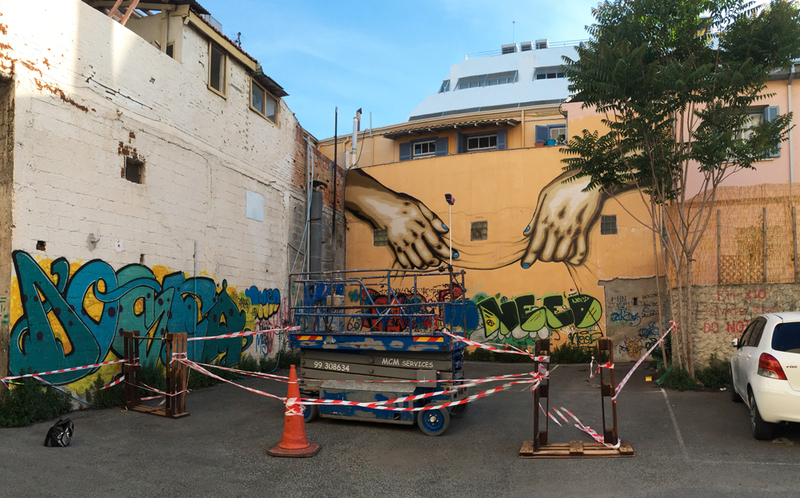 Climbed on a lift, I painted for two consecutive days this magical mural showing two hands lifting up the surface of the wall, revealing a very colourful dimensions behind. This piece is in line with the interactive artworks I’ve been developing for the past year. There will be more to come! Guess who visited? My favourite grandpa Kiwie!